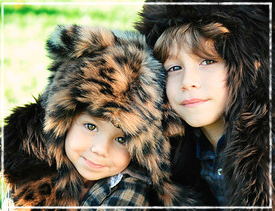 Cozy Faux is a proud distributor of the 'wildly' popular SpiritHoods. Available for kids and adults, SpiritHoods connect us in a unique and creative way to our animal friends. SpiritHoods are more than just cool, furry hats, they represent friendship, family, love, generosity, and bonding with nature.